Our Social Media Analytics reports provide complete data on hashtags, accounts or keywords in real time and in historical searches. Besides, you can analyze any hashtag on Instagram and obtain all the metrics to analyze and evaluate your campaigns and events. All our reports include user rankings that easily help to detect the most active users, those most popular and most engaged with the campaign. Likewise, you can discover the real value of the influencers and get to know the accounts that generate the most impact and engagement. With your collections tab, you will be able to check your reports anytime you need to. The Twitter and Instagram statistical reports are available in three formats: advanced, basic (perfect for presentations) and Excel exportation (perfect to easily work with the data and have everything detailed). Are you looking for a Social Media monitoring tool? Do you need competitive and complete Twitter statistics? Have you been searching for an Instagram analytics platform for a while? It’s your lucky day! Tweet Binder has the solution to all those questions. Our Social Media Analytics reports provide complete figures about your hashtag, term or keyword and are very easy to read. 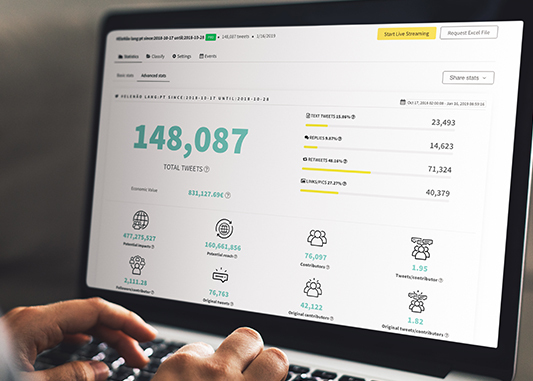 No matters if you manage big accounts or if you launch random campaigns, our Twitter and Instagram reports will let you know the main statistics and information about it. You will have everything you need in order to know the real performance of your hashtag. Any doubts about our Social Media Analytics reports? 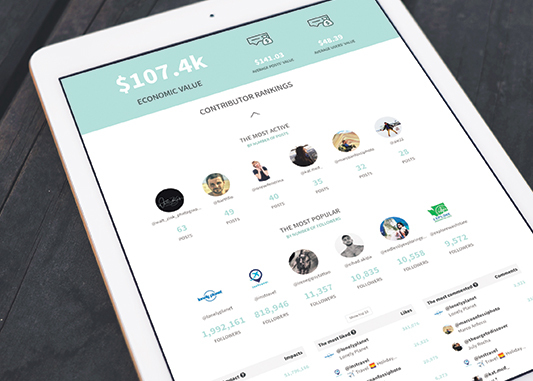 Tweet Binder offers quick and complete impact reports for Twitter and Instagram. Our social listening platform has been used since the beginning by agencies, social media managers, companies... We have learnt a lot from all of them and that is why we have different solutions to cover any request. We work everyday to meet your requirements because we want you to make the most out of the Social Media insights you get with our reports. By using Tweet Binder you will obtain very complete Instagram and Twitter data. All our Social Media Analytics reports reports include general statistics, rankings of users, most important pics and tweets. Everything you need to value your social media campaign and make smart decisions. Moreover, we present them in three different formats and they are available forever. Are you interested in our Social Media Analytics reports? Feel free to contact us if you need to analyze your Twitter or Instagram hashtags. We will be more than happy to help you and schedule a Skype call to show you how Tweet Binder works and all its features. You just have to contact us and let us know your needs.